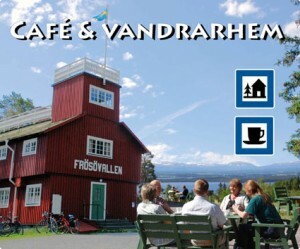 Frösövallen the EFS summer café and hostel located scenic and secluded with Jämtland throughout the mountains as backdrop. You can enjoy fresh coffee and homemade bread. Frösövallen is within walking distance of both the Frösö church and Petersson-Berger “Sommarhagen”.